In this article, a web developer uses a freely available tool to add authentication to a web application, using PHP to implement our security layer. Welcome back! 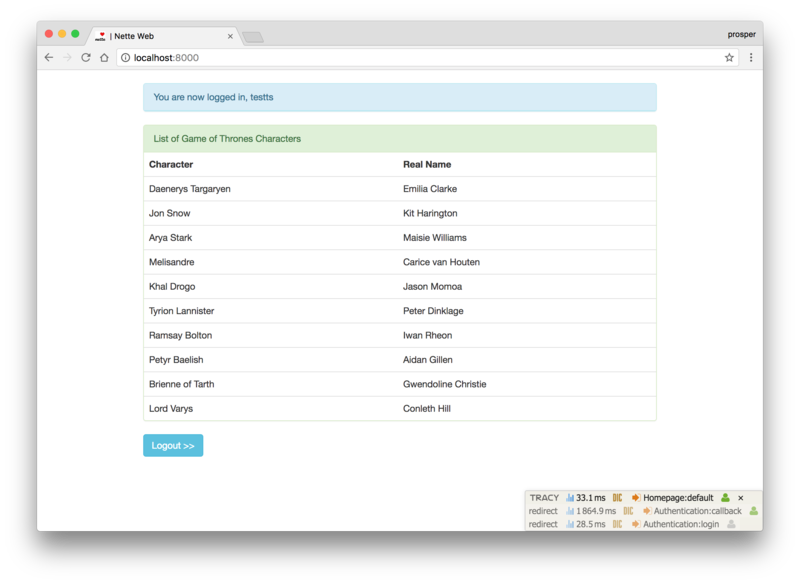 If you missed Part 1 in which we built a web app using Nette, check it out here. Auth0 issues JSON Web Tokens on every login for your users. This means that you can have a solid identity infrastructure, including single sign-on, user management, support for social identity providers (Facebook, GitHub, Twitter, etc. ), enterprise identity providers (Active Directory, LDAP, SAML, etc.) and your own database of users with just a few lines of code. 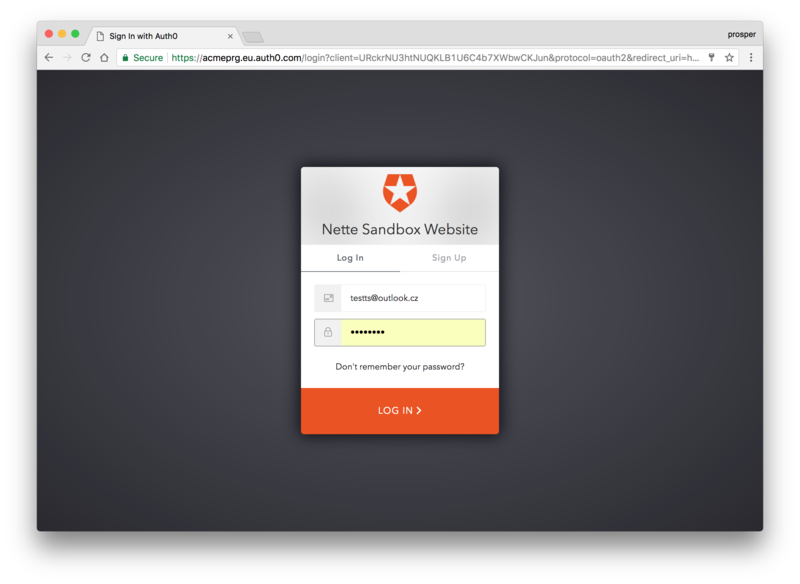 We can easily set up authentication in our Nette apps by using Auth0. If you don't already have an Auth0 account, sign up for one now for free. Navigate to the Auth0 management dashboard. Create a new client and select the type of app as Regular Web Applications. Take note of the client_id, domain, and secret. You'll need it soon. Go ahead and install the official Auth0 PHP Plugin via composer. We need to create a new presenter, AuthenticationPresenter to handle our authentication logic. In the code above, you can see that the Auth0 service is being injected into the presenter using the @inject annotation. The actionLogin method is responsible for invoking the login function that will redirect the user to the Auth0 hosted login page. The actionLogout method is responsible for clearing the sessions and any Auth0 data stored in the app. It logs the user out and redirects back to the home page. The actionCallback method is responsible for handling the authentication flow. When the authentication is successful from Auth0, it performs a client credential exchange and returns an authorization code. Now, create a model/Auth0Authenticator.php file inside the app directory. This is where the credentials exchange happen, and the user info is gotten from Auth0 and injected into Nette via the Identity class. The default login and logout routes are /authentication/login, and /authentication/logout respectively. We'll change them to /login and /logout respectively. We also added the callback route. 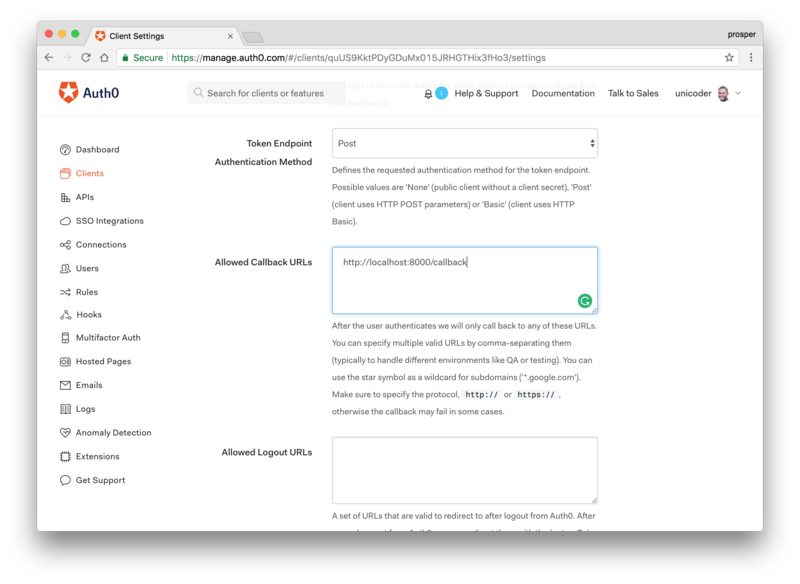 Note: Head over to your Auth0 client and configure the callback route in Allowed Callback URLs. $user->isLoggedIn(): The $user variable is an object that is injected into the templates by default from Nette presenters and components. It represents the user. There are methods that can be called on it such as isLoggedIn, login, logout, etc. Here, we use to determine if the user is logged in or not. Note: Check out Nette's Access control for a deeper understanding of how the user object works. Now that everything is in place, go ahead and run your app. Well done! 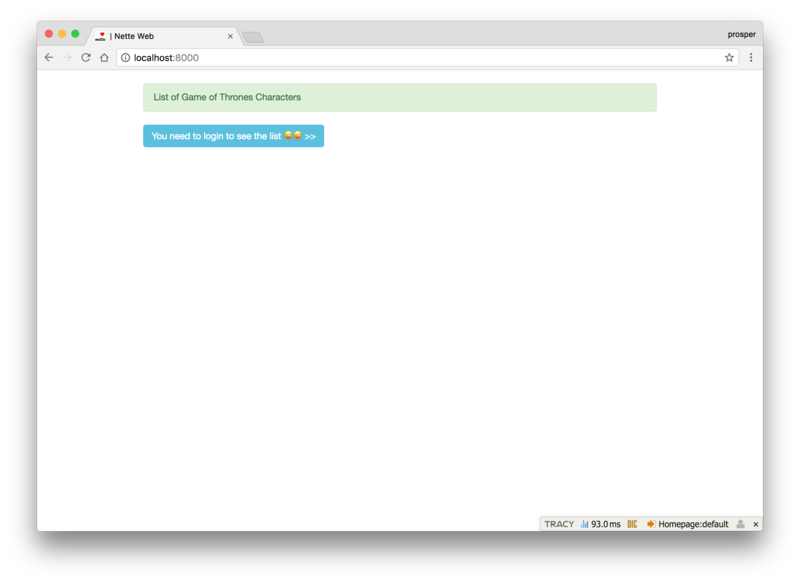 You have just built your first app with Nette. It focuses on simplicity, clarity and getting work done. As we saw in this tutorial, you can easily add authentication to your Nette apps. This tutorial is designed to help you get started on building and adding authentication to your own apps with the Nette framework. You can leverage the knowledge gained here to build bigger and better apps. Please, let me know if you have any questions or observations in the comment section.